Everyone knows the sound: that hair-raising screech interrupting your regularly scheduled programming to bring you a message from the National Emergency Alert System. You see text start to scroll across your television screen. The National Weather Service is issuing a flood watch, or there is an active AMBER Alert in your area. Or, most likely, this is only a test. The Federal Communications Commission is responsible for the emergency prevention warnings that are broadcast on television and radio. This method reaches a high volume of people all at once to minimize injuries and damages. These noises are designed to catch your attention. Once the message is conveyed, the appropriate response can be determined, and then you can the appropriate action. You may know what a pending emergency sounds like for your home, but do you know what it sounds like for your business? 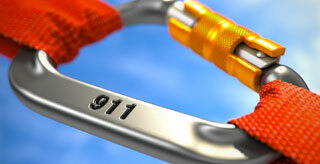 Emergency preparedness is perhaps the most important safety measure you take for your company. It means knowing what the possible risks are for your particular business in your unique geographical area. It also means being ready to surmount those circumstances if necessary. Many companies have taken the initiative to create emergency alert systems specifically for businesses. These companies utilize items like text messaging, social media and email to connect safety messages specific to your business to everyone in your network. With the touch of a button, relevant safety information is sent to everyone who needs it. The new wireless emergency alert system initiative has seen some success among businesses, municipalities and other organizations. For example, The Port Hope municipality of Ontario had instituted a new wireless emergency alert system before a major ice storm had hit the area. Driving conditions were dangerous and motorists were instructed to stay home. Trees and branches fell on streets, homes, cars and lawns. Most residents were without power. During the storm, the municipality sent out eleven messages to its residents warning of potential dangers and instructions for safety. Because of this, accidents and injuries were minimal. After the tragic Virginia Tech shootings that occurred in 2007, the school became aggressively proactive about finding a better, more efficient method of emergency response for its students and staff. The school had been without an emergency alert system that connected safety personnel, staff and students for quite some time. On the day of the tragedy, a full two hours passed during the incident before a message was broadcast to emergency personnel on campus. Now, the school is fully equipped with an emergency alert system that sends emails, text message, and phone calls all from one central interface. This proved essential a few years later when another gunman let loose on campus after routine traffic stop. The first of six alerts were sent out only six minutes after the call of a shooting reached police. Alerts were transmitted via cell phone, email, Twitter and the school website. The campus went on immediate lockdown, and multiple updates were sent until the situation was resolved. Even on a national scale, emergency alert systems that incorporate text messaging are being put into place. An article in Emergency Management Magazine denotes several success stories heard at a congressional hearing in 2013 regarding emergency response utilizing services such as those used for business. One of incidents takes place in Connecticut where there was an approaching tornado. A day camp for children who had instituted the emergency alert system sent out a warning of the impending disaster. Twenty-nine children were led to a shelter by their counselor. Minutes later, the sports dome where the children had been was leveled. Systems such as these were also used by emergency officials during Hurricane Sandy and the Boston Marathon bombings to send alerts regarding shelter in place orders, advisories and 911 alerts. Being prepared can mean the difference between minimal damage and complete devastation. It can not only save time and money in items like restoration and refurbishing, but most importantly it can save lives.